Safe from the big blow. In advance of Hurricane Florence, Volvo and Boeing both shut down their factories in South Carolina. While it’s tough to get hundreds of new Volvos out of the way of an advancing storm that is hundreds of miles wide, Boeing could take heart in the fact that Washington’s airports were ready to take any 787 Dreamliner that could fly. Flight trackers picked up the fleeing planes, which were headed to Paine Field in Everett and possibly King County International in Seattle. A steady stream of planes arrived throughout the day, and more were possible today as well in advance of the storm’s arrival. The company suspended its operations Tuesday at the North Charleston plant as the governor issued mandatory evacuations of residents. 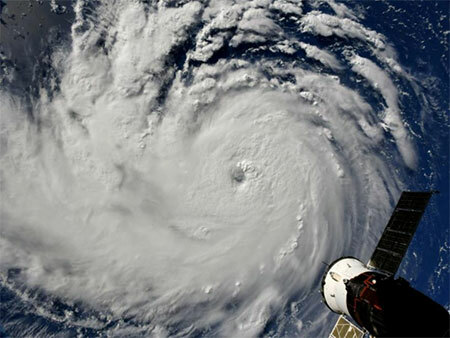 Only a skeleton crew was left on site to prepare the facility for the worst hurricane to hit the Carolinas in decades. Washington State is proud to offer a safe harbor for these new planes. The state is fortunate to have relatively mild weather year-round and hurricanes are unheard of, allowing the company to continue record production, even in the face of a major weather event at its South Carolina facility. Check it out at King 5.